DB Engineering provides professional consulting solutions for clients needing design, operation, Smart-Building integration and optimization solutions for the HVAC systems in their buildings. Established in 1999, DB Engineering has evolved from a Design/Owner Advocate company into a team of dedicated professionals capable of providing full-service solutions for clients in the Pacific Northwest and around the world. While the design of high-performance comfort and process cooling systems continues to be a fundamental service, bringing field experience and a working knowledge of new technologies to solve complex design and operational problems differentiates DB Engineering from traditional engineering design firms. DB Engineering’s structure and experience enables us to bring a broad base of knowledge to each client. Every client has unique needs requiring varying levels of support and collaboration and DB Engineering can tailor our services to meet those needs. We value our customers and respect their culture and opinions. From years of experience as a peer reviewer of HVAC system designs, our industry standard is to design HVAC systems for “construction”. The designers are accountable to the design and construction team and rarely to the operators who will have to operate the systems after they are built. DB Engineering designs systems and provides design oversight from the operator’s perspective. The DB Engineering team is a collection of engineers who have spent a majority of their time on existing building operation and optimization. This perspective allows us to provide a unique offering of design and operational services focused on providing strategies for systems with the lowest total life cycle cost of ownership including first, operating and replacement costs. 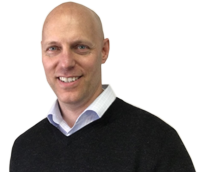 Owner and founder of DB Engineering, Doug is an experienced mechanical engineer with exposure to a wide variety of design, operation and optimization services around the world. 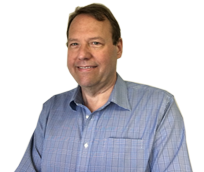 Doug’s experience includes complete mechanical system design for commercial office, data center, computer lab, telecommunications and industrial facilities. 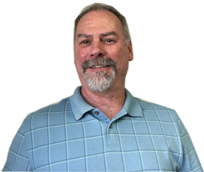 As an Owner Advocate, Doug coordinates design criteria and construction requirements with Design/Build contractors and building owners. Doug has also been closely involved with the deployment of Microsoft’s Energy-Smart Building initiative to optimize commercial building assets and reduce energy consumption through data system integration and real-time analytics. Norm brings more than 25 years of design, operation and optimization services to DB Engineering clients. With experience in commercial office and retail applications, Norm also has institutional project experience at airports, hospitals, jails and prison complexes. Norm has also been heavily involved with energy project development, including energy studies, life-cycle cost analysis, utility rebate acquisition and performance measurement. Norm regularly provides mechanical system life-cycle renewal strategy and design criteria coordination as an Owner Advocate. 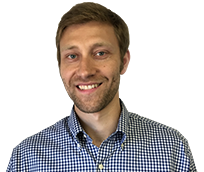 Max brings a unique blend of design, construction and commissioning experience to the project team. 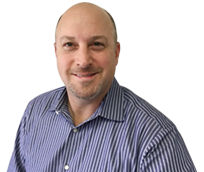 Max’s 20+ years of experience includes that he is a licensed Mechanical Engineer that has worked on projects in the role of Lead Engineer, Project Manager, Commissioning Agent, and Project Executive. He has also worked on a wide range of projects from Tier 3 Data Centers, to Hospitals to High Rise Buildings. Max’s deep understanding of the design, construction and commissioning process make him a valuable contributor during the conceptual design phase, where he believes it is critically important to listen to the customer to be able develop appropriate, creative options and educate the owner to be able to make the right decision. Max also understands embedding Energy-Smart Building fundamentals in any design give the owner the greatest return on their HVAC investment, long-term. Art brings a diversified skillset to HVAC system design, operation and optimization. With over 18 years as a Trane Sales Engineer and Sales/Operations Manager, Art saw thousands of projects, systems and products. For the past 10 years, Art has focused on end-user advocacy while facilitating LEED Existing Building certification, leading comprehensive efficiency improvement projects and developing smart technologies. Art’s ability to identify, justify and implement varied strategies over a wide range of project type and size makes him a valuable contributor to any optimization effort. Trevor has unique experience with both the old- and new-schools of mechanical engineering. He has years of retro-commissioning and design review experience, in the traditional vein of mechanical designers & operators; he also has extensive experience with cutting-edge analytics, and has worked with high-tech companies pursuing machine learning solutions to technical problems, as a mechanical subject matter expert. He has extensive experience with Fault Detection & Diagnostics (FDD) algorithm creation and application, and has worked closely with industry leaders in smart-building integration and software development. He has advised numerous Fortune 500 corporations and governments – both domestic and foreign – on best practices and deployment strategies.